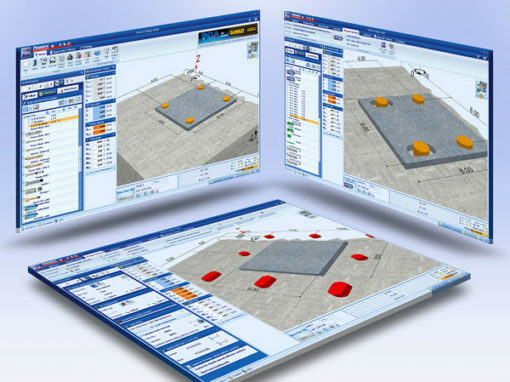 Powers Design Assist – PDA-360.com – is a project planning tool, which provides customers with all needed information about Fastening Systems and their design according to the ETAG (European Technical Approval Guideline) Annex C for mechanical anchors and TR029 for adhesive anchors and corresponding ETAs (European Technical Approvals) as well as according to ACI (American Concrete Institute) 318 Appendix D (including supplemental information from AC193 and AC308) in connection with code compliant product listings from a recognized code evaluation body, ICC-ES (International Code Council, Evaluation Services) for USA and other regions. 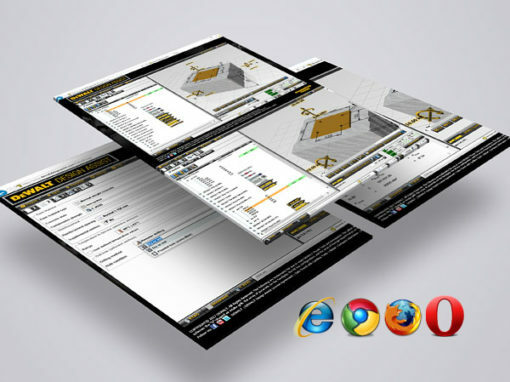 With an easy web based interface, the base materials (e.g. concrete and reinforcement), the whole fastening arrangement (e.g. number and arrangement of anchors, filtering and selection of anchors,…), the geometry (e.g. edge distances, anchor spacing, anchor plate sizes,…), the loads (e.g. characteristic or design loads according to different load combinations, bending conditions), the profile (e.g. 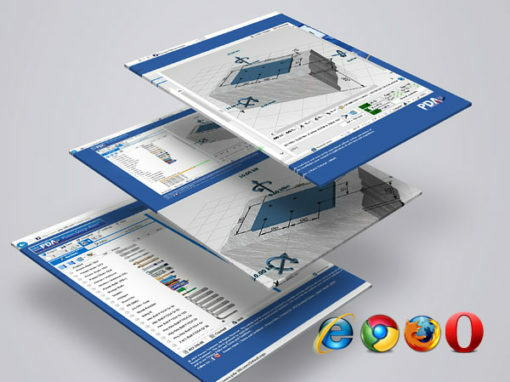 profile type and size, anchor plate material,…) and the project data (e.g. Project No., Company, Name of project,…) can be defined. 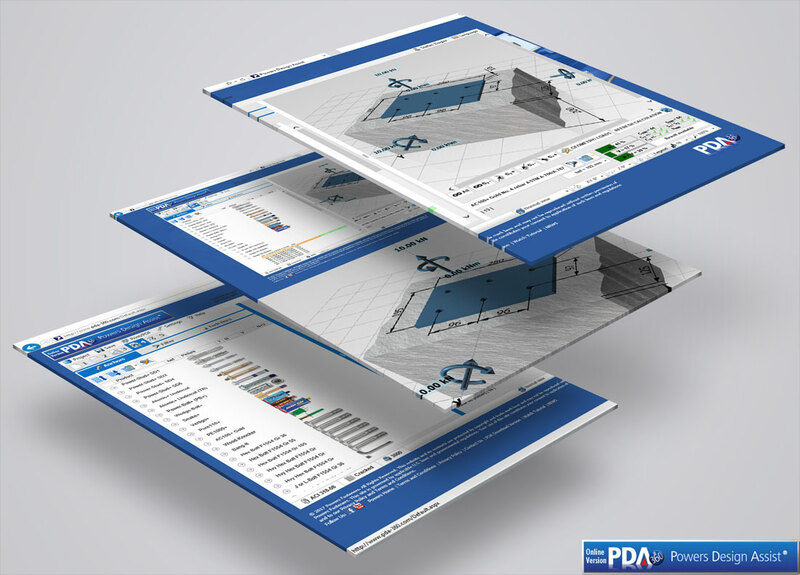 With PDA-360, users have a wide range of options to choose from. Besides the possibility to choose different regions, the program can also handle different units such as SI- and imperial units automatically. 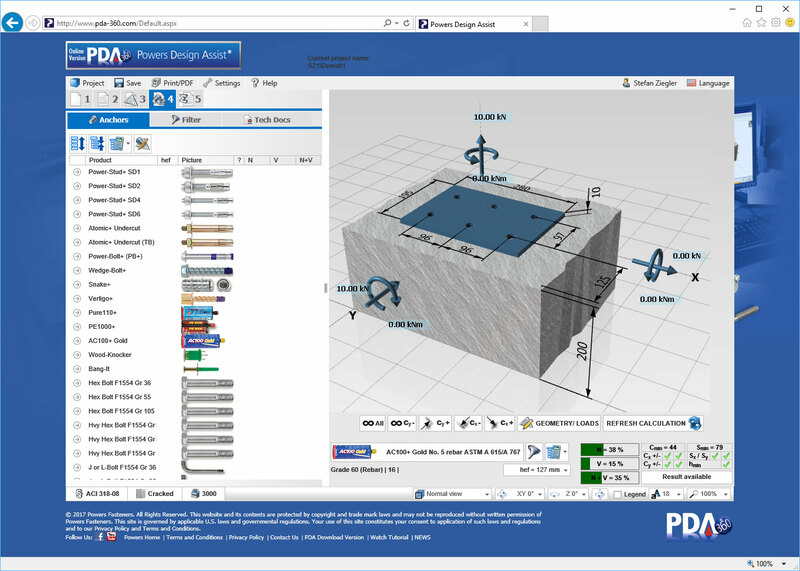 PDA-360 performs all anchor design calculations after entry click. This means that after each change of the input data which influences the boundary conditions of the calculation, the design will be restarted when the input field is refreshed. 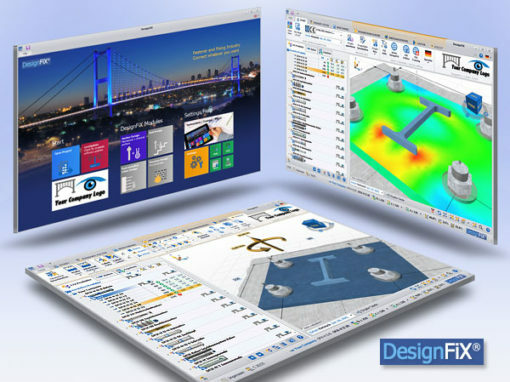 The result of the design and thus the suitability of the chosen fastening element for the given situation is displayed in the status bar of the program. 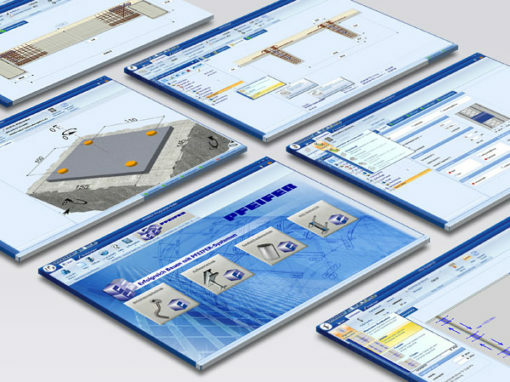 The program offers additional possibilities to find suited anchors for given design problems – with options as „multiple anchor design“ and with working in the „anchor tree“, where each click on an anchor size shows directly if the selected anchor gives a solution for the design problem. All approved Powers Fasteners anchors for the chosen region are stored in a database including all necessary information for design. For more information on the complete product range in the different regions, approvals, technical data sheets, fire reports and product literature can be found in the „Approval / Library “ menu and browser. 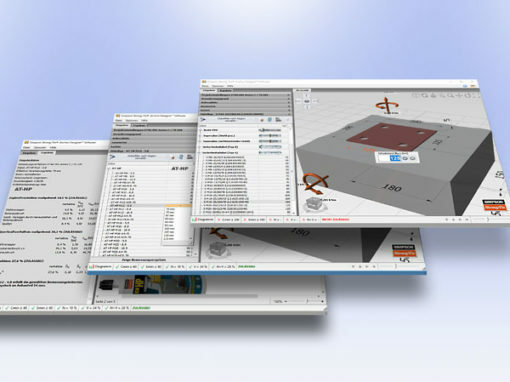 As final step of each calculation, the results of the design are displayed in a report that can be printed and/or exported. The format of the report allows the designer to use this report directly as annex to his or her statistical calculation.